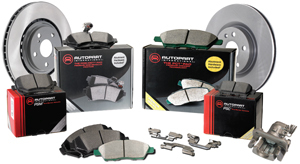 Our North American manufactured Premium Brake Pads are made to OE specifications including chamfering, slotting and sensors – the right fit the first time. Available in Posi-Met Metallic or PCT Ceramic premium low resin formulations providing exceptional braking performance. Why Choose AI Premium Brakes?